I’ve always believed that the practice of law is more than an occupation – it’s a calling to help others. Many of my clients are business owners who are getting older and trust me to serve as a bridge builder between generations. Whether I’m finding creative ways to protect the wealth they’ve spent decades building or crafting a plan to transition ownership to children or other family members, my mission is to help clients achieve their goals and protect their family relationships. Norm Lofgren focuses his practice on helping clients build and protect their businesses, minimize tax exposure and preserve wealth from generation to generation. Norm’s clients include domestic and international closely-held businesses, high-net-worth families, entrepreneurs and professionals, and they rely on him to advise on all types of business and wealth protection issues, ranging from complex estate, tax and business planning to structuring multi-million dollar transactions and resolving tax audits and controversies. A significant portion of Norm’s practice is devoted to helping businesses owners and families design comprehensive succession planning strategies to facilitate the seamless transition of ownership to family members or trusted employees. Norm previously served as tax counsel for a major international energy company, where he gained a strong understanding of the unique challenges his clients face when expanding their operations abroad. He helps clients plan strategically on the front end for every possible issue that may arise, including a detailed analysis of the various legal, financial, political and safety risks involved with doing business in a particular country. As a former trial lawyer for the IRS, Norm also brings an insider’s perspective to helping clients resolve tax audits and other disputes initiated by government agencies, and he can assess the regulatory risks associated with each course of action his clients take. Moreover, Norm has senior level military experience as a Naval officer in Asia (non-lawyer capacity), including Korea, Japan and Thailand. 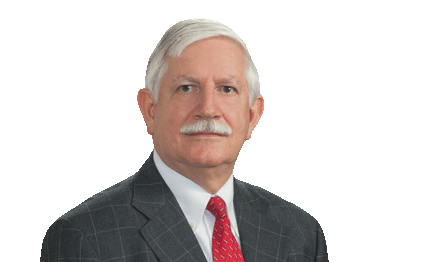 Lead counsel in Estate of Albert Strangi v. Commissioner, a multi-million dollar test case in the U.S. Tax Court and Fifth Circuit Court of Appeals against the IRS involving family limited partnerships. Structured multi-million dollar domestic and international transactions involving natural resources. Structured and documented multi-million dollar sales and purchases of business entities and business properties. Represented many clients before IRS and state agencies in audits and administrative appeals as well as litigation of income tax, gift tax and estate tax disputes. Counsels business owners, businesses and executives on such matters as: shareholder agreements; employee stock ownership plans (ESOP); key-man life insurance; business succession planning; design and drafting of executive compensation plans such as stock option plans and other equity-based compensation arrangements, phantom stock plans, performance bonus, profit sharing plans, stock appreciation rights (SARs), restricted stock awards and senior executive retention plans (SERPs). Estate Planning 101: What Individuals Need to Have in Place Today for Tomorrow.